Leeds University business school, United Kingdom is providing undergraduate scholarships to Students from countries like Nigeria, India, Vietnam and Kenya, who have received a suggestion of place at Leeds University business school. This scholarship program is offered to undergraduate students who have demonstrated sustained educational excellence and have the potential to create a major contribution to business school life. You must be citizens of Nigeria, India, Vietnam and Kenya. You must be self-funding candidates. 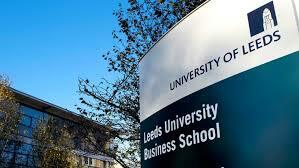 You must have received an offer of place at Leeds University Business School. Completed form should be sent along side necessary documents to the Undergraduate Admissions Office ugenq@lubs.leeds.ac.uk. Interested applicants who have not received an offer of place should visit this link to apply for an Undergraduate course at Leeds Business School, UK. The application for Leeds University UK Business scholarship ends on 6th April 2017. Visit the official page for more information: the official page. Kindly Share to Information via the social icons.